The Mission of the Lemont Park District is to enhance the quality of individual experiences by providing safe, accessible and premium facilities, parks and programs to the community while being fiscally and environmentally responsible.The Lemont Park District strives to be collaborative, proactive and progressive in serving our community. Work varying schedules and hours as required to fulfill the duties of the position, including weekend, evening and holiday hours and be available in case of an emergency. Gain knowledge and understanding of park district policies and procedures and see that they are adhered to at all times. Attend mandatory in-service trainings; district-wide part-time staff orientations and crisis trainings as required. Wear nametag with staff issued uniform in order to be clearly identified as a District employee. 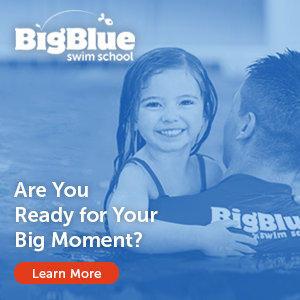 Maintain a safe pool environment which will include knowledge of emergency procedures, equipment and action plan. Assist the Swim Team Coach in the execution of meet functions. Must be able to demonstrate proper swim techniques to participants from in the water and on deck. Assist in programming and operating the timing system. Assist in the Preparation of swim meet entries for specified age group participants. Must have own transportation to travel to and from swim team practices and meets. Assist the Aquatics Supervisor in the execution of special events, aquatic programs and classes. Adhere to time clock procedures and keep accurate and neat record of time worked. Administer, observe and follow all District safety policies and regulations as the safety of staff and participants is of utmost importance and a continuing responsibility of all employees. Immediately notify the Risk Manager of any safety hazards in District buildings, grounds and facilities. The District encourages its employees to take an active role in the appearance of the District i.e. pick up litter throughout the buildings, grounds and facilities of the District. Must be a minimum of 18 years of age. Must have four (4) years of swimming. Requires strong people and customer service skills and the ability to help organize swim practice and swim team programs effectively. First Aid/CPR/AED required. Please apply on-line at https://www.lemontparkdistrict.org/employment-opportunities/.